There's some exciting news coming to the suburbs of Copenhagen. 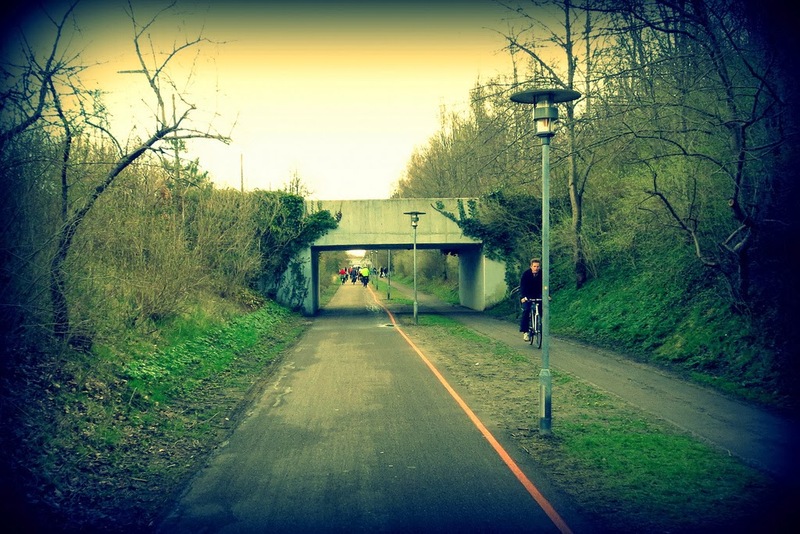 The Capital Region of Denmark - 20 municipalities all in all - have decided to expand their network of dedicated bicycle infrastructure, connecting the inner city with surrounding suburban regions and inviting more commuters to hop on a bike rather than clog the motorways in a car. This bicycle superhighway project is exciting and impressive both in terms of numbers - 28 new routes stretching 500 kilometers and an expected 10,000 new riders - and in vision; uniting the entire region with a cohesive and consistent network of bicycle tracks. Copenhagenize Design Co. was thrilled to partner with Dutch transport and mobility consultancy, Mobycon, winning the bid to help turn this vision into a reality. We were tasked with analyzing the two existing bicycle superhighway routes in the area, researching foreign examples of bicycle superhighways and creating our own innovative and user-driven designs. The ultimate goal was to present the municipalities with catalog of features, everything from wayfinding to windbreaking, that we recommend including in the superhighway expansion . All these features focus on bicycling commuters and address not only what they need along a superhighway network, but also what they want. Putting this catalog together was a pretty enlightening experience. While our design approaches always prioritize on-the-ground users, this project forced us to think concretely about how small scale, human-level features can and must fit into a larger network of infrastructure in order to provide a coherent, logical and enjoyable route from point A all the way to point B - however long that distance may be. While all facilities and services were certainly important to consider (for instance, air pumps, rest stations, lighting fixtures, etc.) what struck us as the most vital aspect of this network was the wayfinding component. For starters, the two existing routes of the superhighway are not exactly coherent. There are numerous junctions where it is unclear which way to turn in order to stay on the route. Additionally, as the finished network will span twenty municipalities - each with their own design guidelines concerning signage, paint and color usage - it's a challenge to ensure a consistent, coherent and streamlined network. 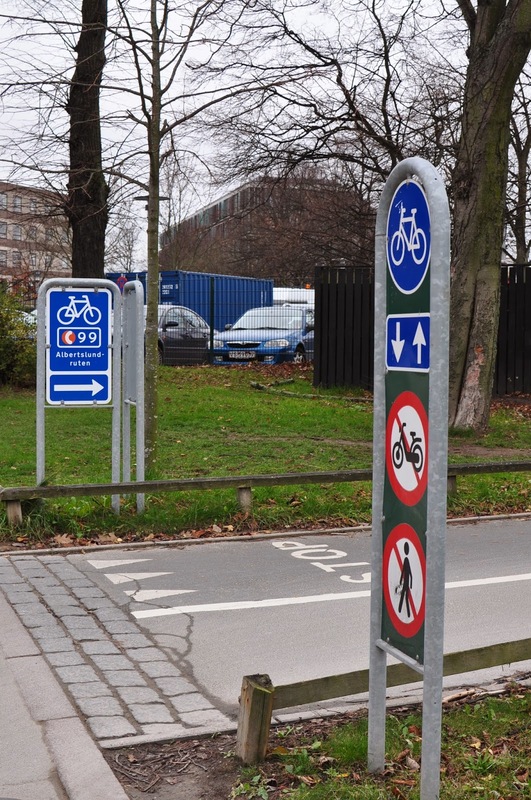 For instance, the Danish Road Directorate has strict, (and car-centric and antiquated) regulations about signage and when or where paint can be applied to the road and/or cycle track. 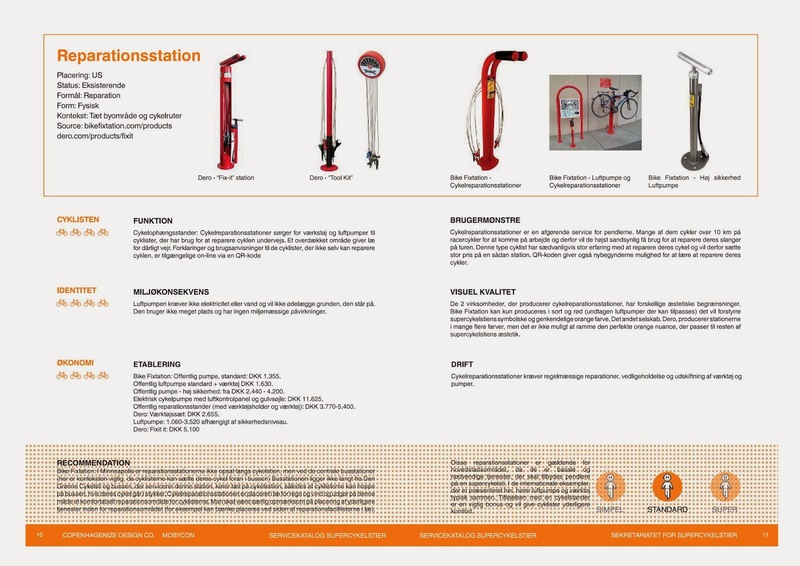 These rules don't accommodate the use of the superhighway logo - the orange "C" as seen in the picture at the top of the page. This makes a simple wayfinding solution of a clear and consistent painted line throughout the entire network, as pictured below, pretty impossible. No worries, though, we're always up for a challenge. We wracked our brains and developed an innovative and exciting strategy to circumvent these pesky rules and provide cyclists along these routes with not only a coherent and obvious path to follow, but also a sense of common identity and coherency. Curious about the strategy? Well, we can't give all our secrets away but let's just say it's inexpensive, adaptable and incorporates primarily natural elements that just about every city has at their disposal. As always, it's great to collaborate with our home city of Copenhagen - and in this case the entire capital region. 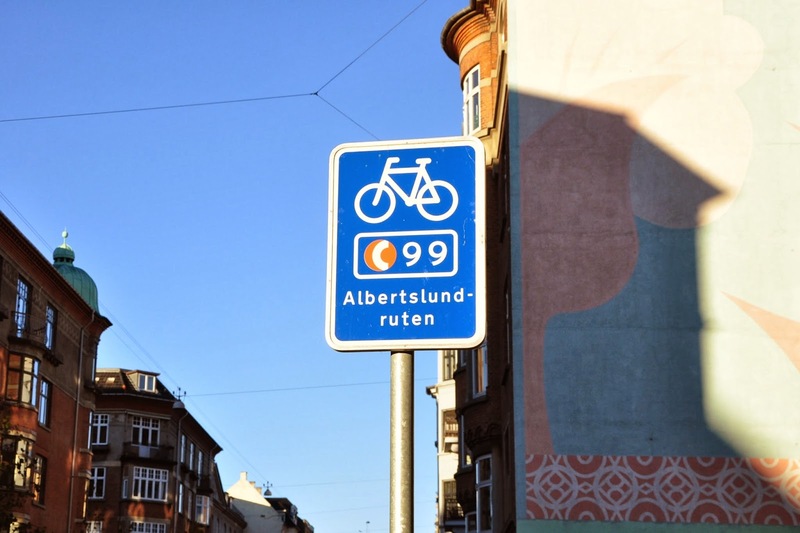 It is important for the cities that make up Greater Copenhagen, known as bicycling havens, not to rest on their laurels and to keep pushing the envelope in terms of urban transportation innovation. This project will not only increase bicycle ridership and reduce travel by cars, but it makes a clear statement that the Capital Region is dedicated to improving cycling conditions not just in central Copenhagen but for all commuters and regional residents. The product and the message are equally important. Keep up the good work, Copenhagen.